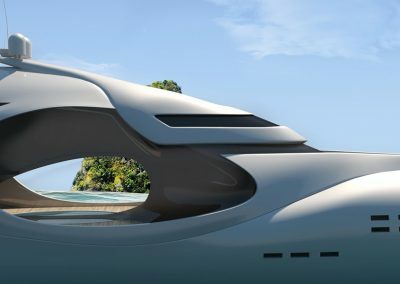 A company dedicated to the pursuit of advanced yacht design and technology, Schopfer Yachts wanted to make a statement in the global yachting community. The company selected us for our proven strategic process, technical capabilities, and award-winning architectural visualization. 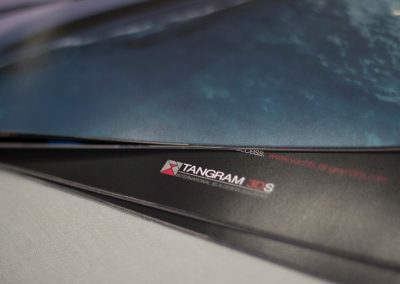 CEO Kevin Schopfer literally came to Tangram with sketches drawn on napkins. 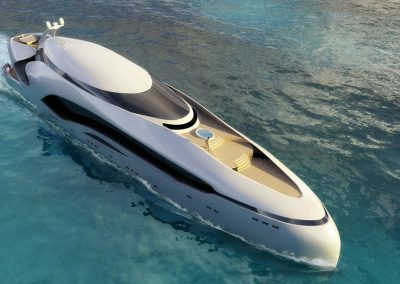 Working together, we brought those sketches to life through design studies and renderings highlighting the yachts’ design details and extraordinary comfort and style. 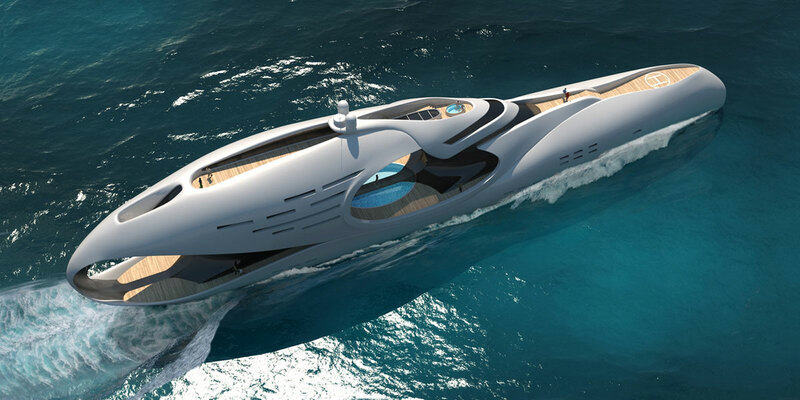 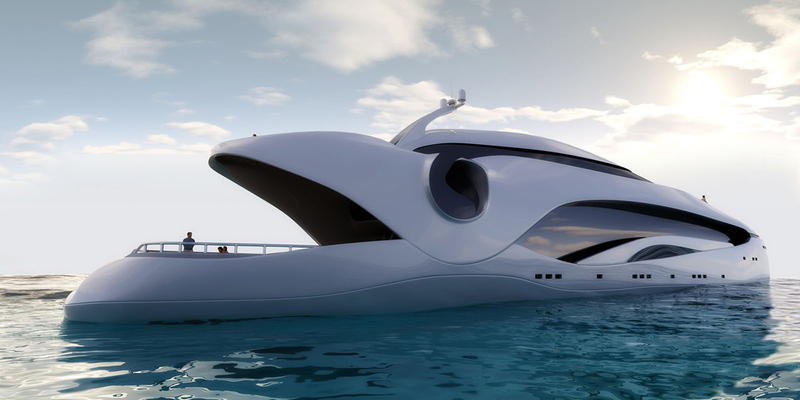 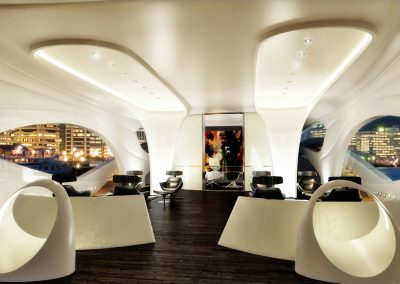 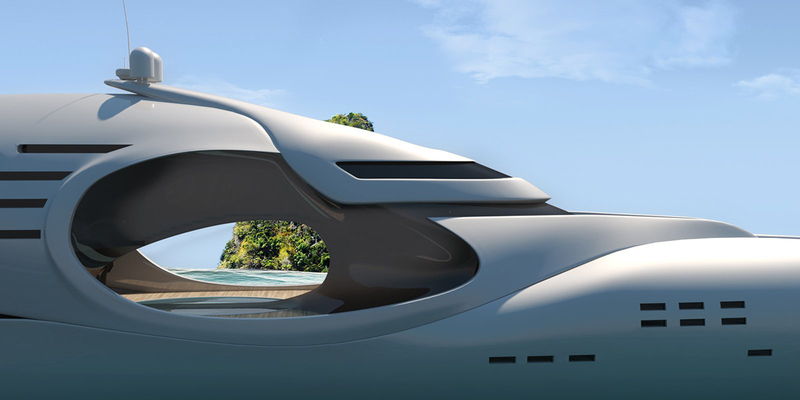 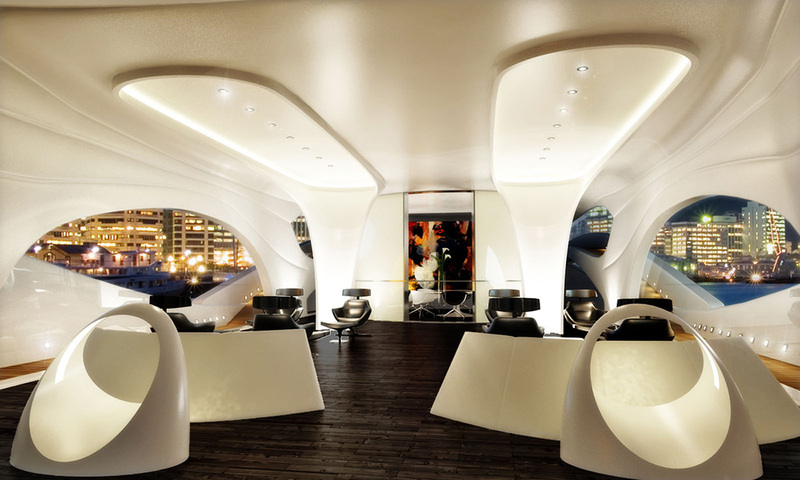 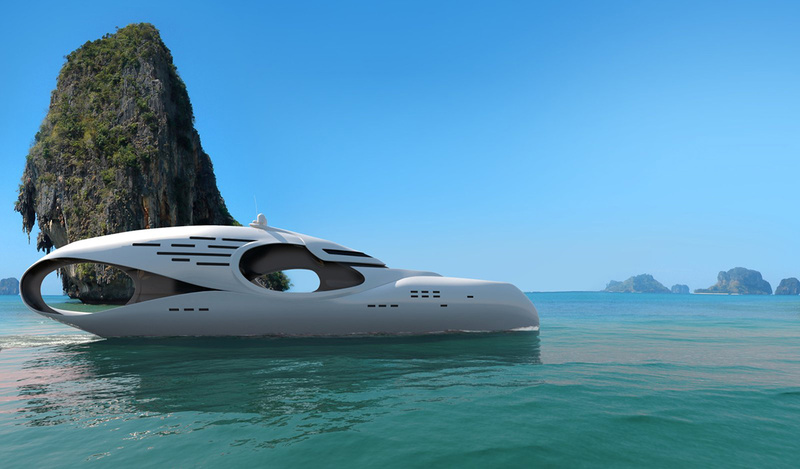 The most challenging—and most interesting—part of visualizing Kevin Schopfer’s yacht designs was working with their organic shapes and compounding curvature. 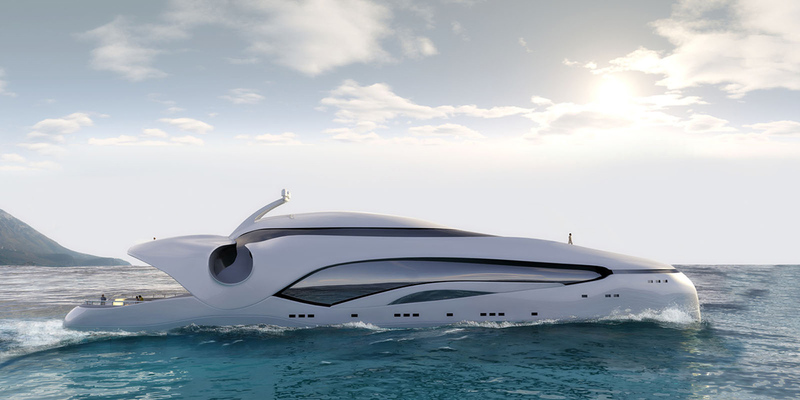 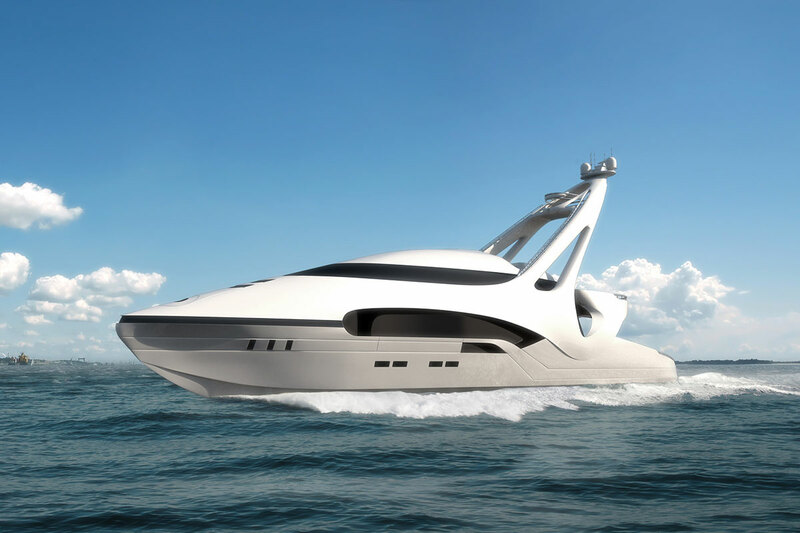 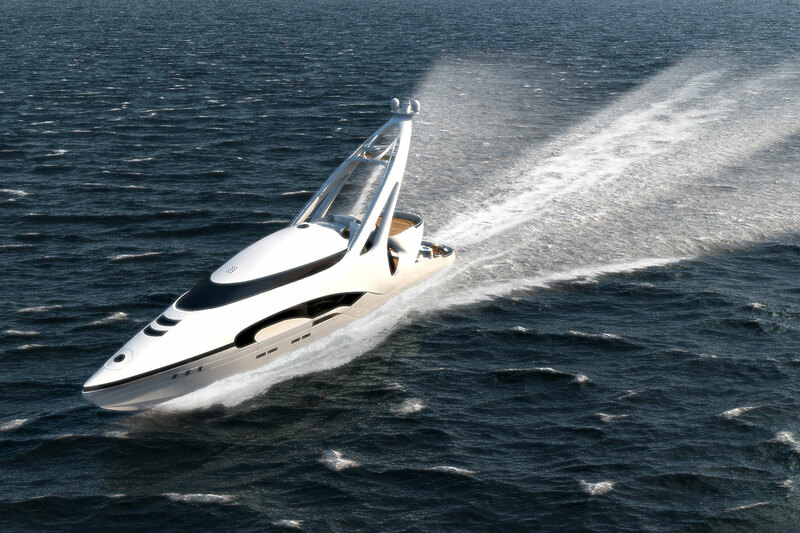 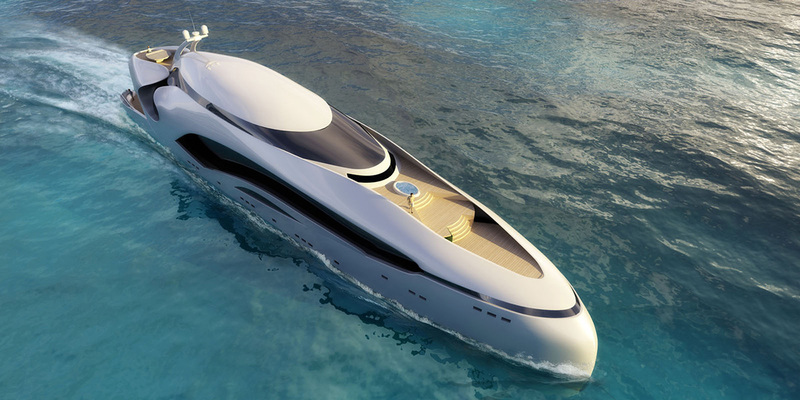 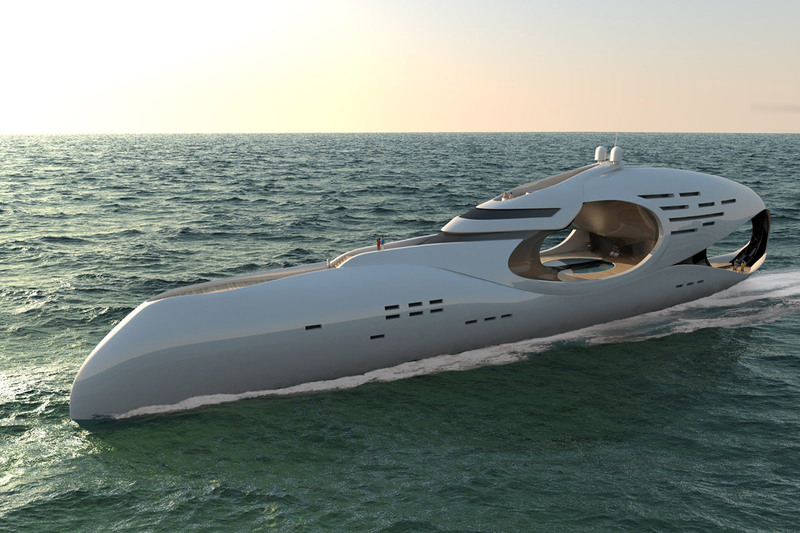 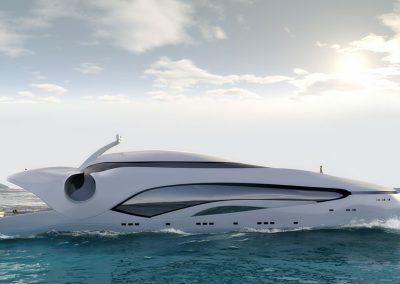 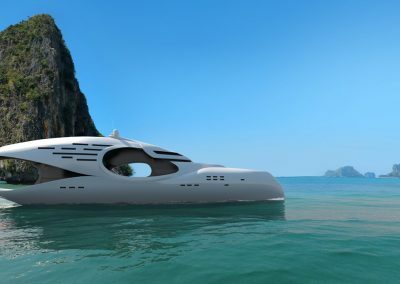 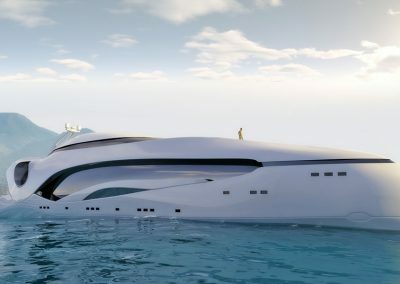 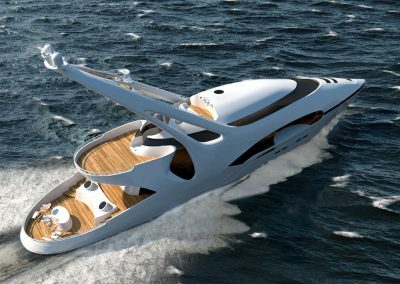 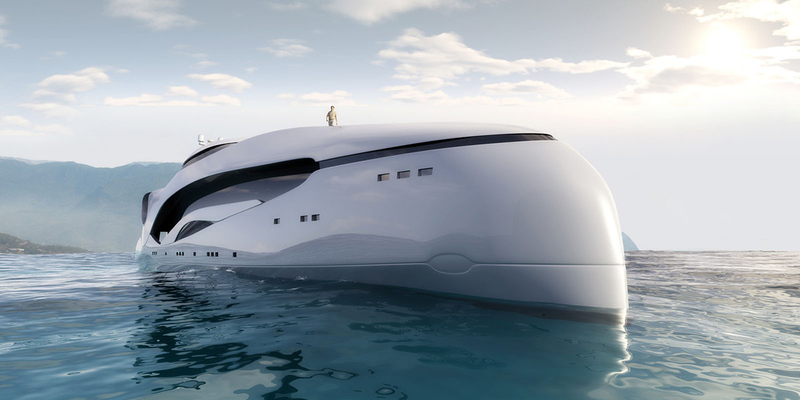 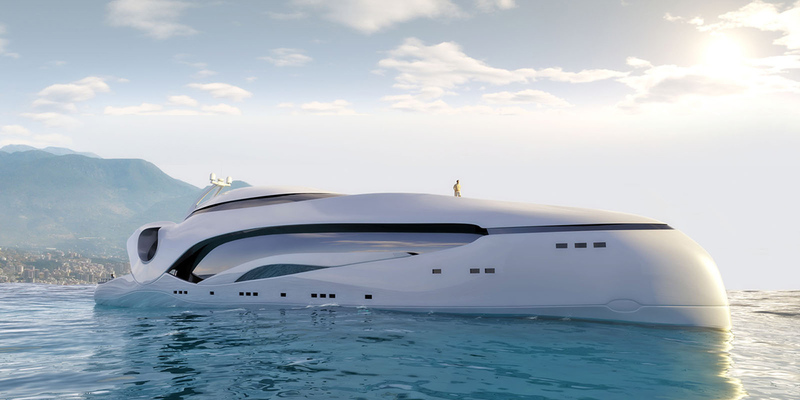 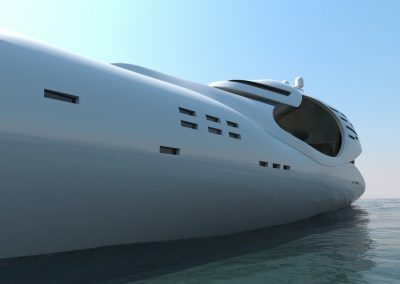 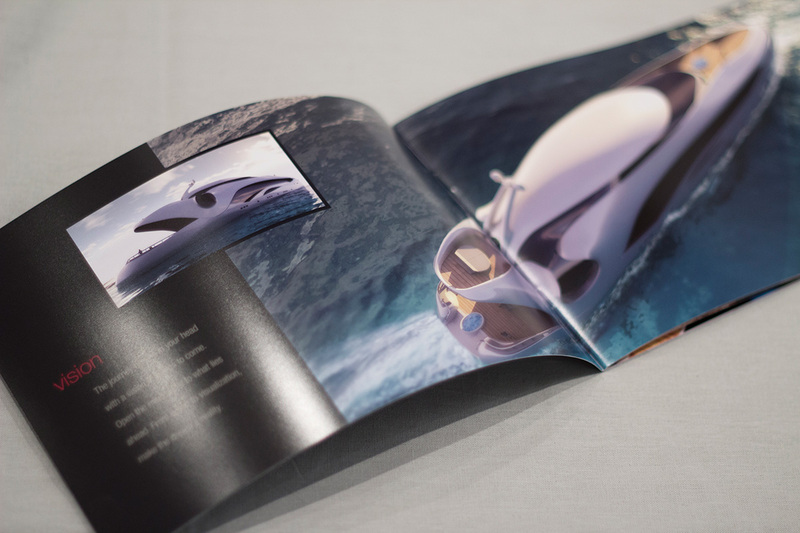 Throughout the process, our team created concepts based upon Schopfer Yachts’ extraordinary ideas and ultimately brought them to life through 3D visualizations. 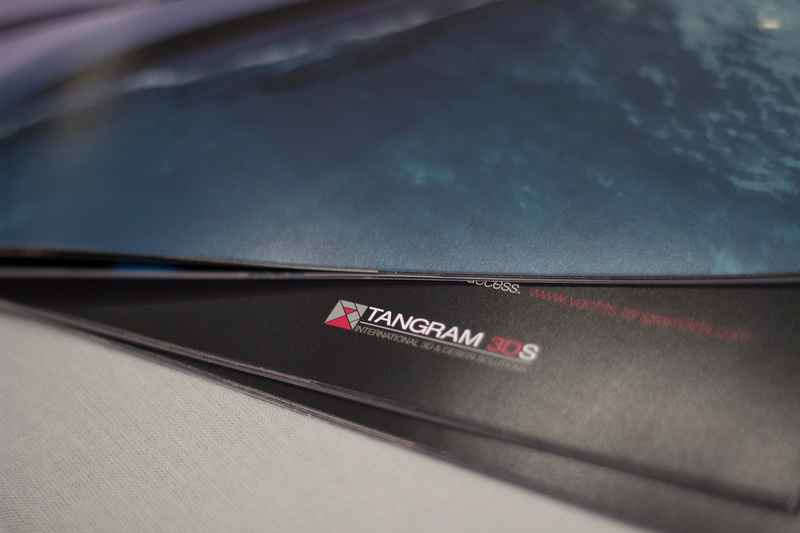 I want to thank Tangram 3DS for your wonderful work. Your team’s patience, flexibility and interpretive skills allowed us to work through the inevitable search for detail refinement and overall options exploration. 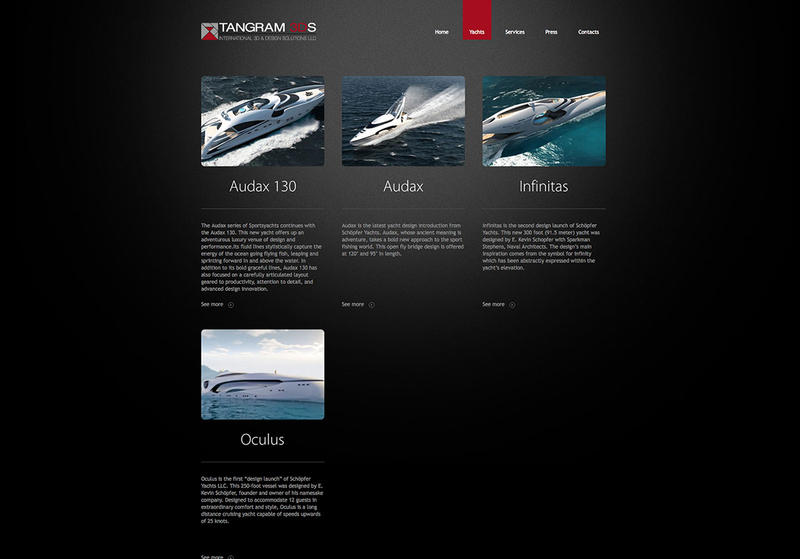 Tangram 3DS has captured the spirit of the design with remarkable clarity and precision. 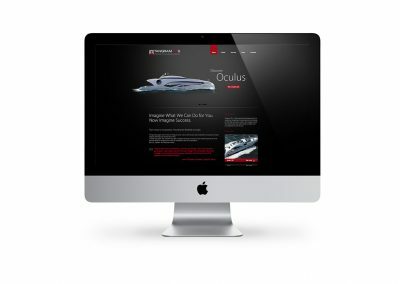 … Many thanks for the successful design launch. As we push the boundaries of luxury yacht design, Tangram’s expertise allows us to study complex geometries while in design and portray the finished design with absolute authority. 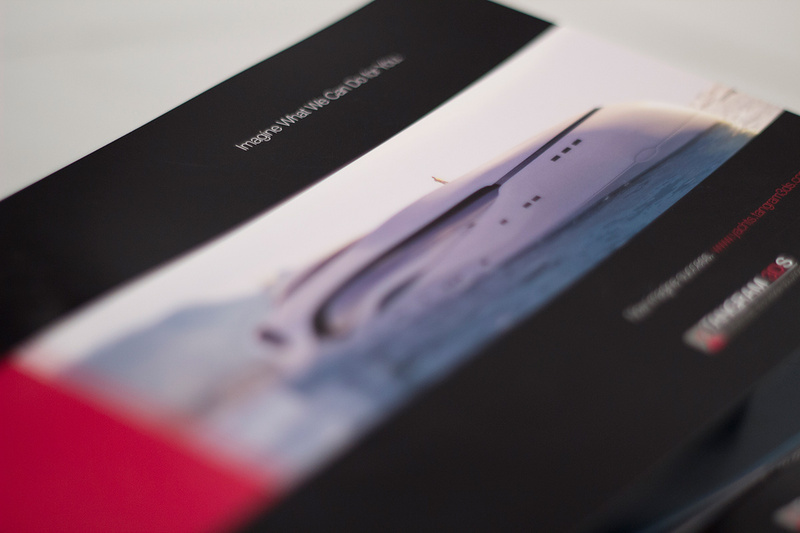 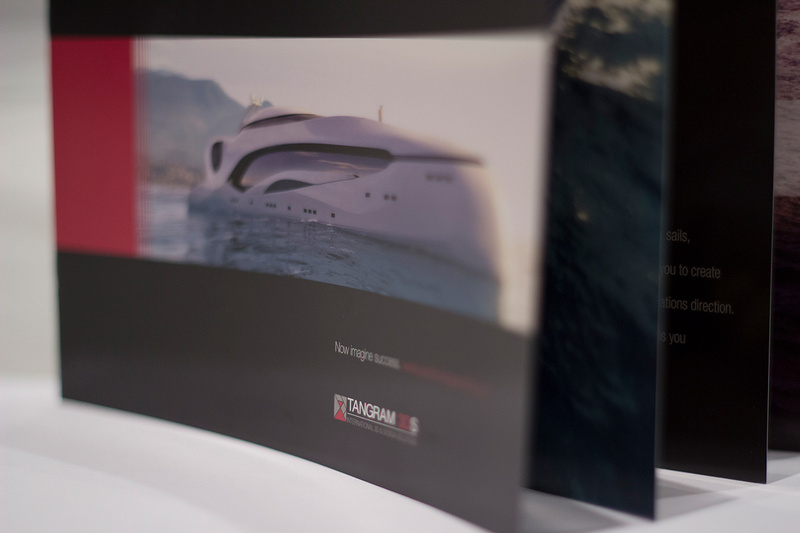 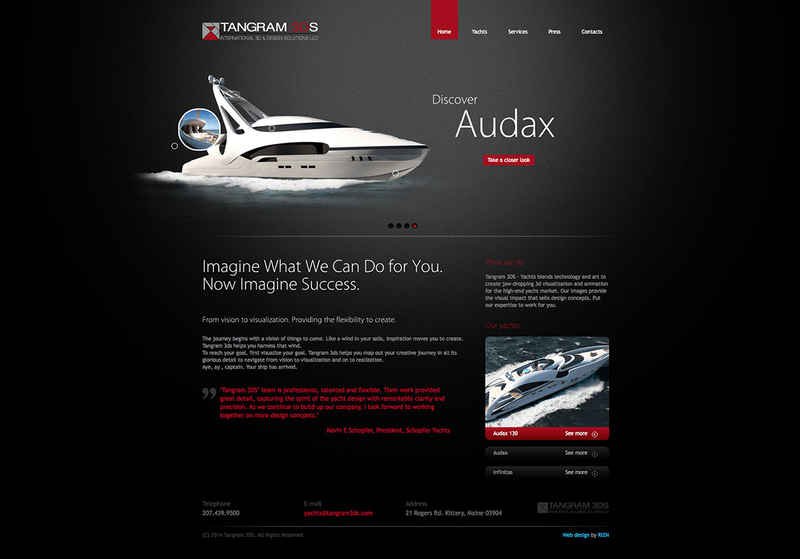 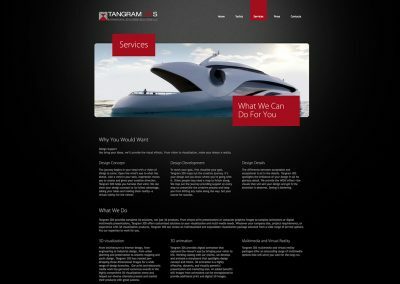 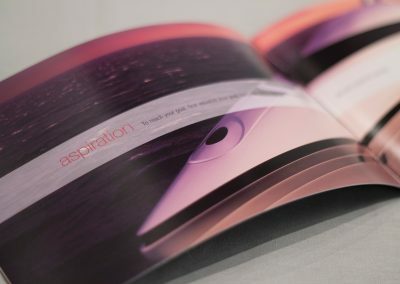 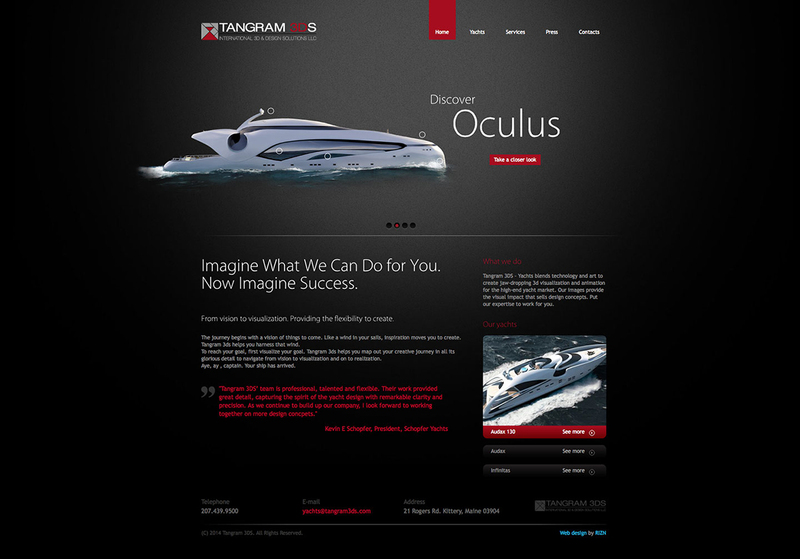 Our marketing campaign showcases Tangram’s beautiful yachts. 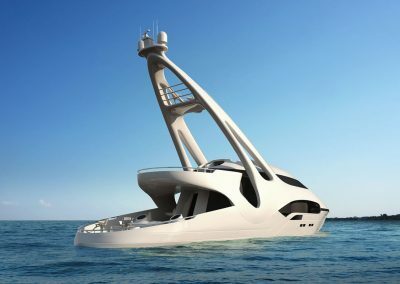 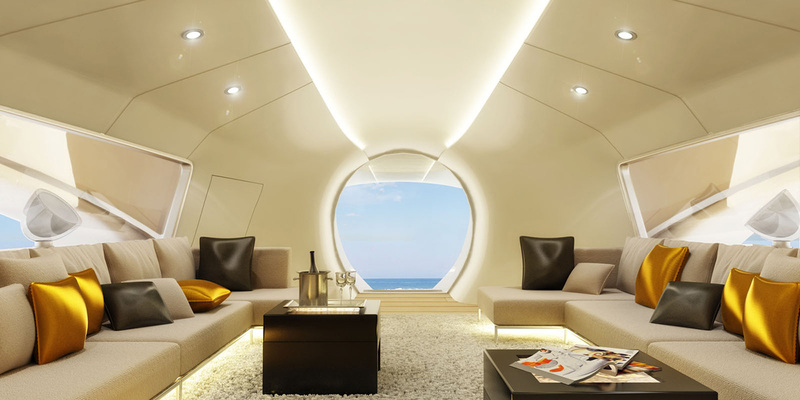 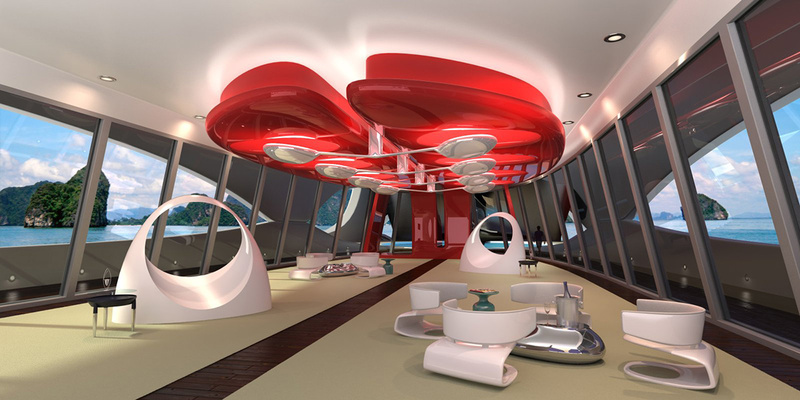 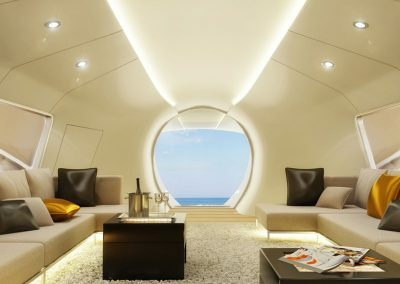 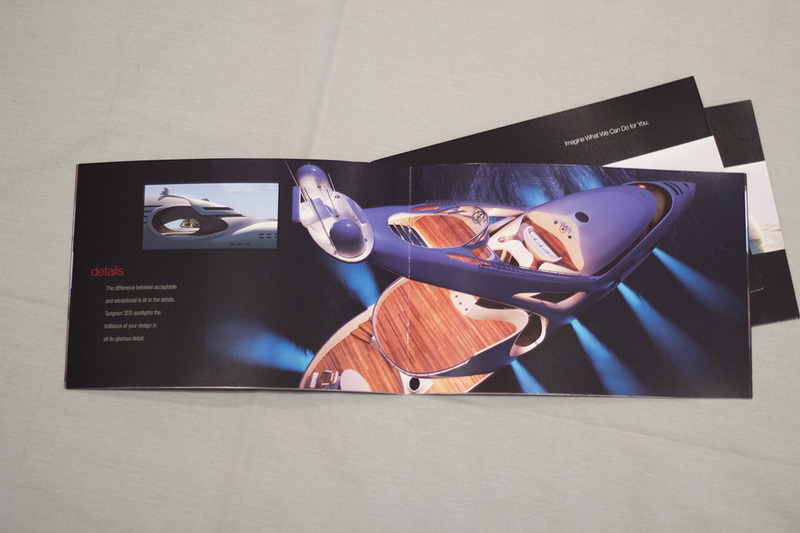 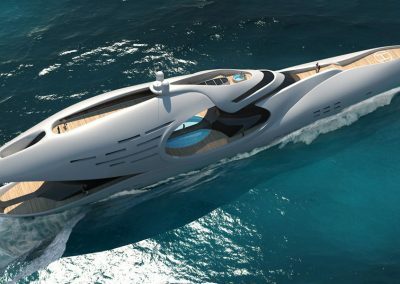 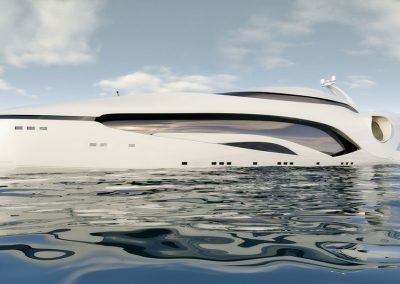 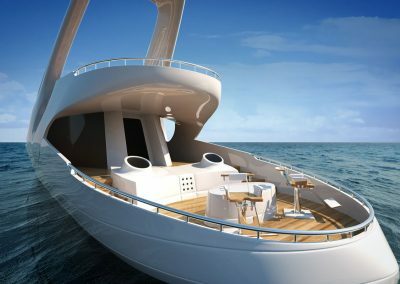 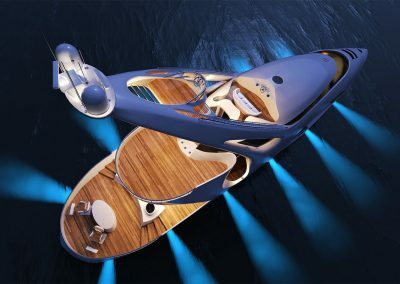 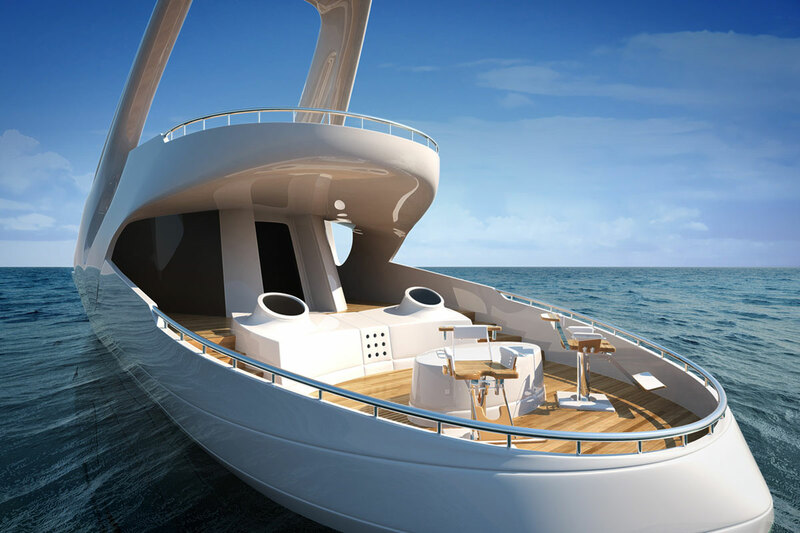 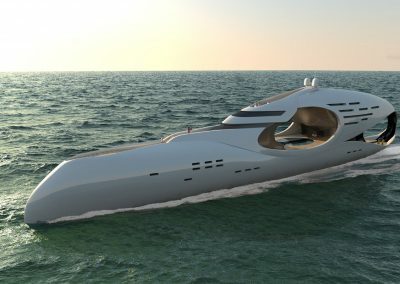 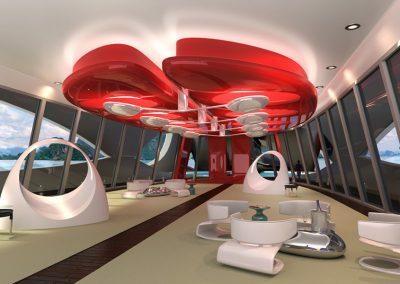 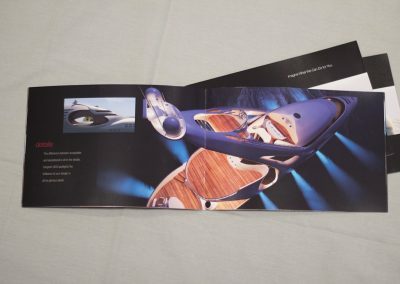 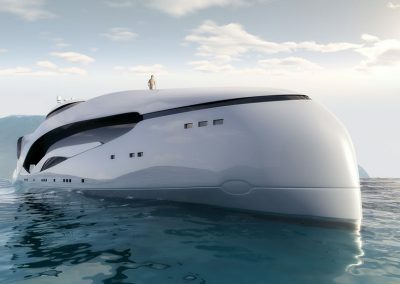 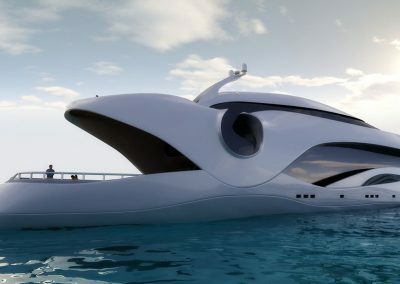 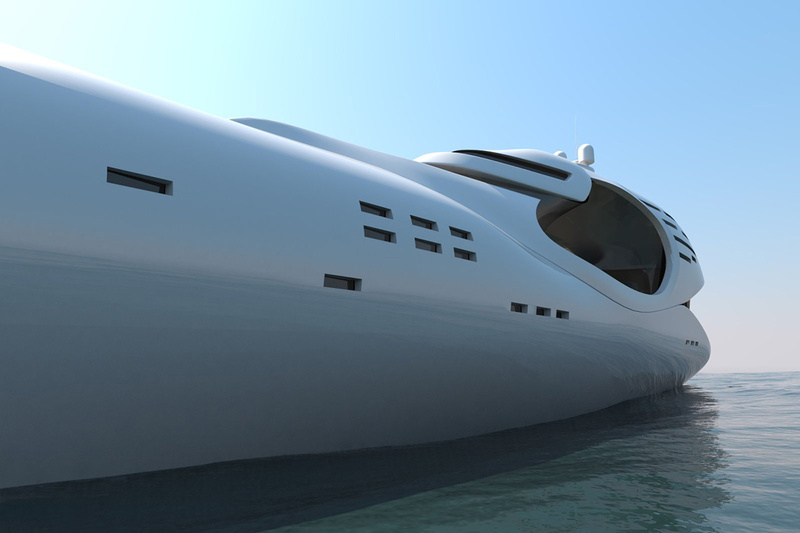 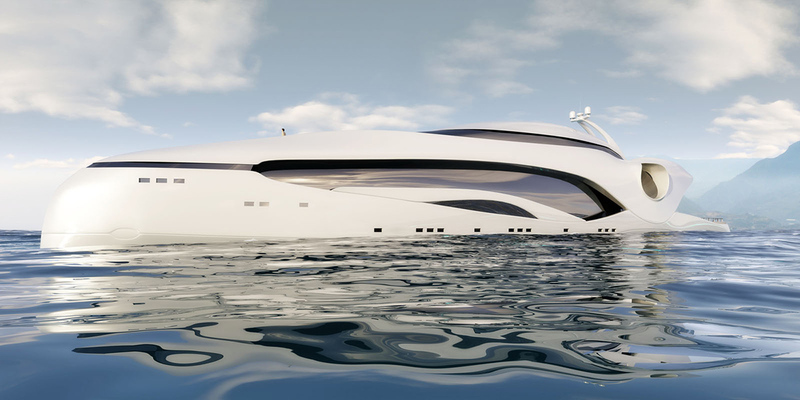 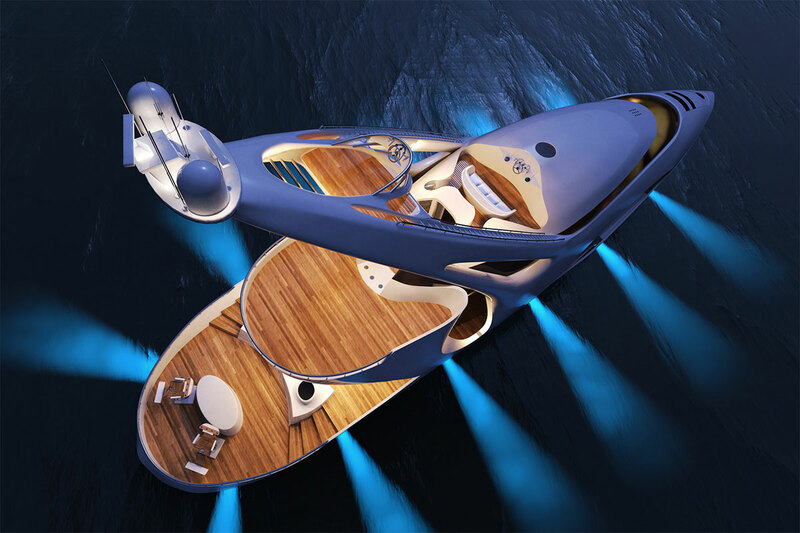 The brochure lays out exterior/interior renderings and highlights services offered, such as yacht visualization, computer rendering, 3D modeling, and animation. 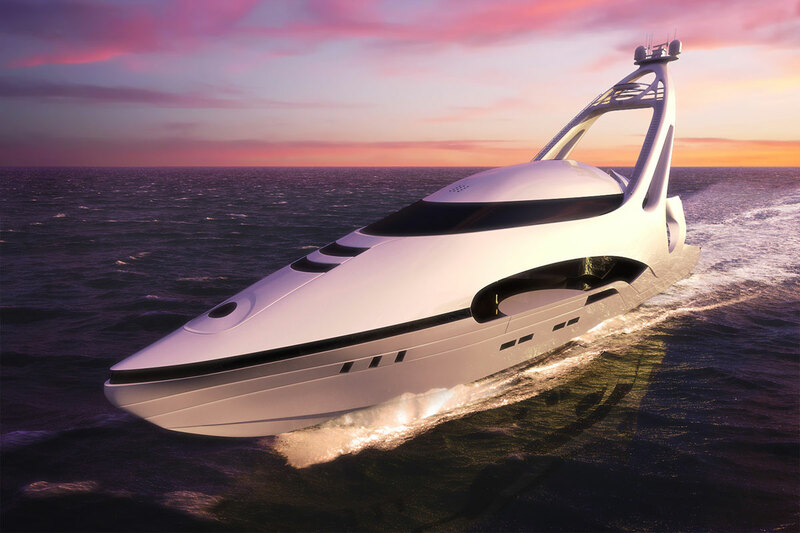 We blend technology and art to create jaw-dropping 3D visualization and animation for the high-end yacht market, along with marketing tools for promotion. 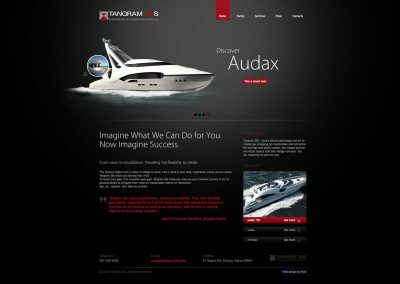 Our images provide the visual impact that sells design concepts. 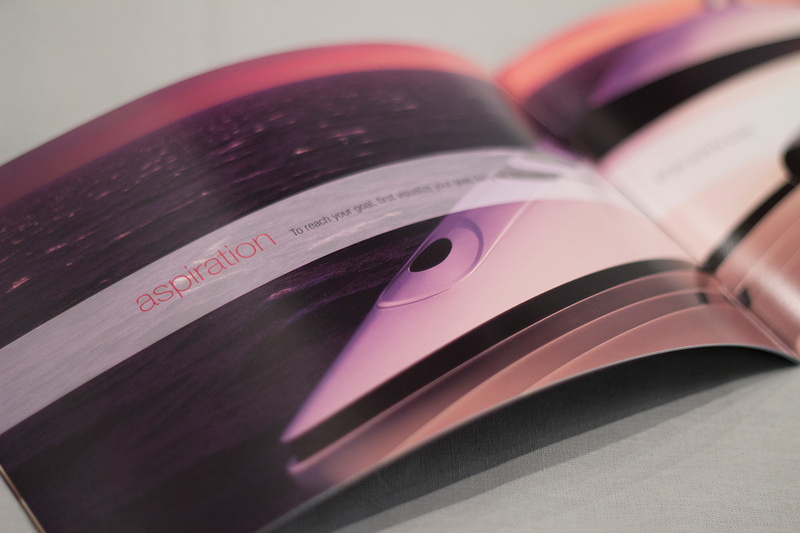 From vision to visualization, we make those dreams reality.